Exposed DC Photography Show Partner: Historical Society of Washington, D.C.
We wrap up our fantastic list of partners with our biggest one: The Historical Society of Washington, D.C. Their organization is dedicated to preserving the stories of our city, making them the the natural ones to turn to when we were looking for a place to host our 10th anniversary Exposed DC Photography Show. What could be a better venue for an exhibit of images that tell the tales of modern life in the District? We’re so pleased to be working with them and holding our opening reception throughout the historic Carnegie Library with our other partners. Advance tickets for the opening reception are still available! 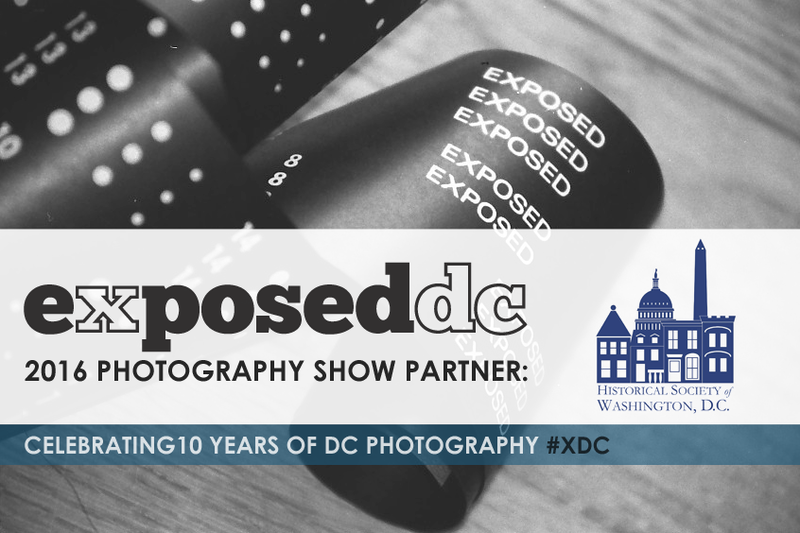 You’ll be able to view the Exposed DC show in their gallery on the second floor of the Library, and while you’re there, visit their ongoing exhibit Window to Washington, featuring the Kiplinger Washington Collection, in the Small-Alper Family Gallery. The exhibition explores the development of our nation’s capital, from a sleepy southern town into a modern metropolis, as told through the works of artists who witnessed the city’s changes. The exhibit includes some of the collection’s rarest and most iconic artworks and features rotating pieces from other holdings. The Historical Society of Washington, D.C., is a community-supported educational and research organization that collects, interprets, and shares the history of our nation’s capital. Founded in 1894, it serves a diverse audience through its collections, public programs, exhibitions, and publications. Washington is known throughout the world as a monumental federal city. Less well-known are the stories of Washington’s many diverse and vibrant communities. The Society helps make this local history easily accessible to the public to promote a sense of identity, place, and pride in Washington and to preserve this heritage for future generations.